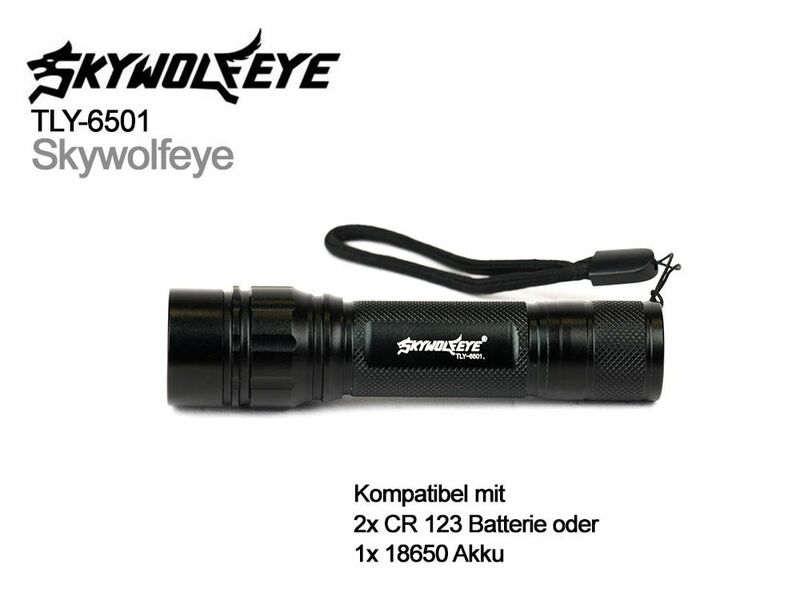 The Skywolfeye TLY-6501 is a very compact LED flash light with 200 lumens. 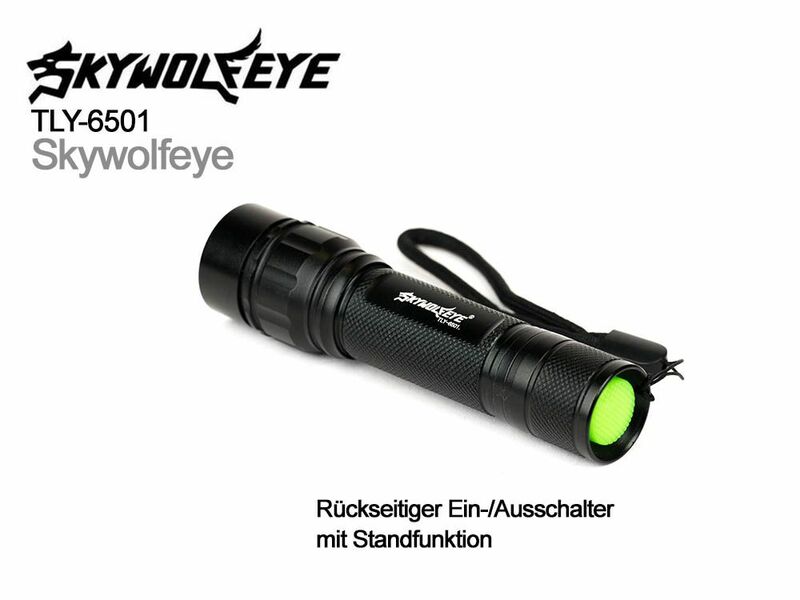 The lamp head is equipped with a slide mechanism, with which the beam can be focused. 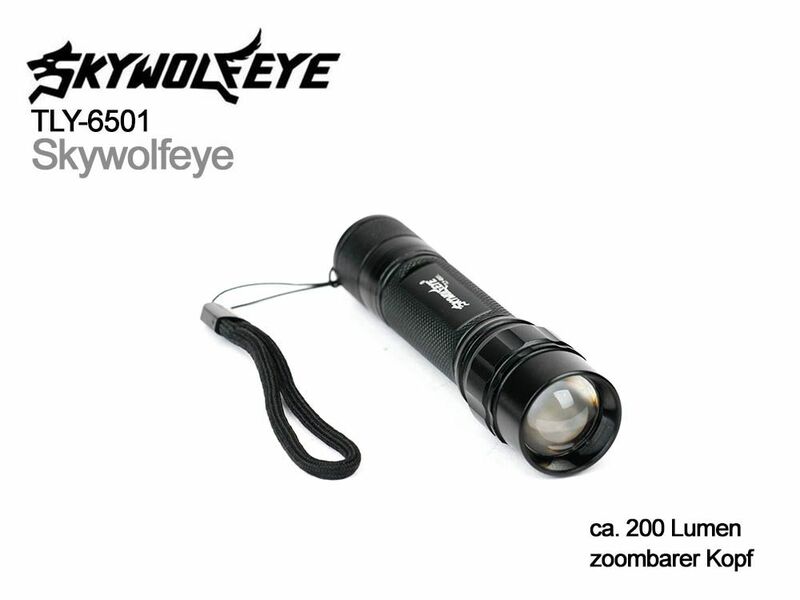 Furthermore the Skywolfeye TLY-6501 offers two light levels and a strobe mode, which can be chosen by the on-/off switch at the end of the battery tube. The Skywolfeye TLY-6501 suits perfectly as a backup flash light for the photo bag or as an “always on hand” flash light for daily use.